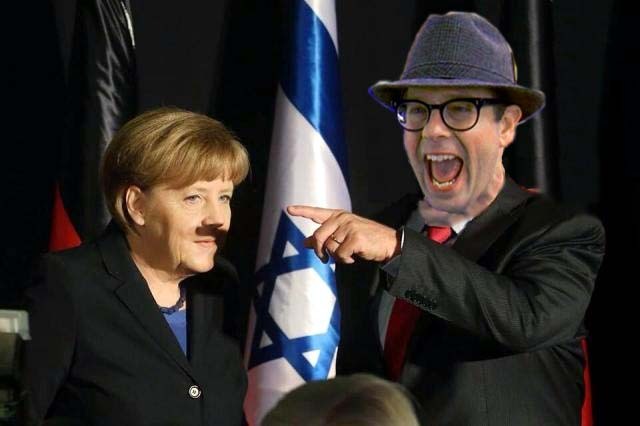 At a recent event German chancellor Angela Merkel and I were taking a few questions and at the exact moment I was pointing out that they were bringing in cookies for a snack one of the photographers snapped this shot that made it look like Merkel was Hitler. This entry was posted in Where's Ned-O by nedthehead. Bookmark the permalink. Hilarious! My husband and I laughed hard.